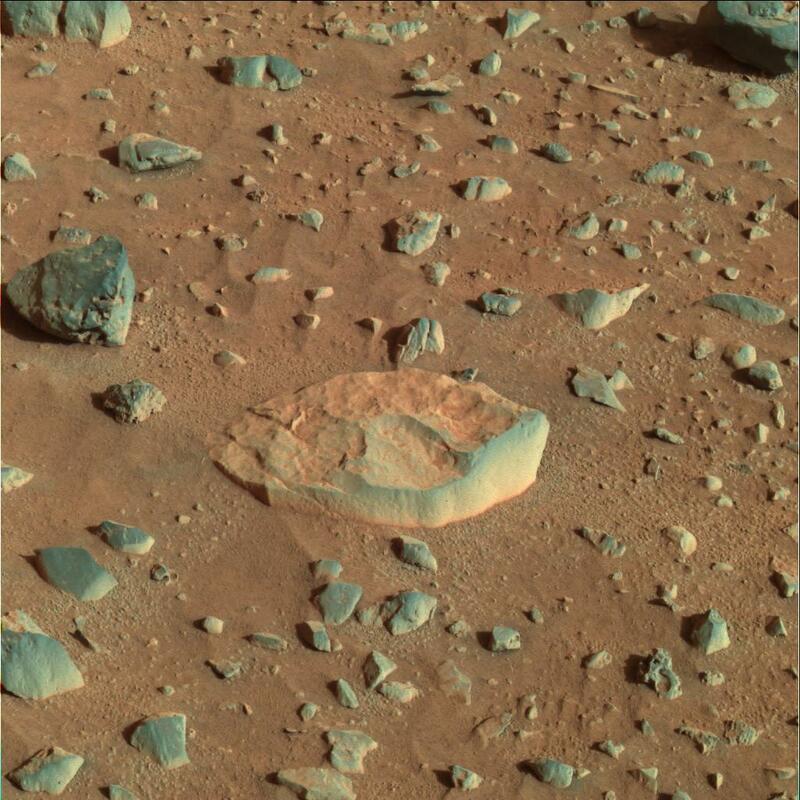 Explanation: What caused this rock to have an unusual shape? 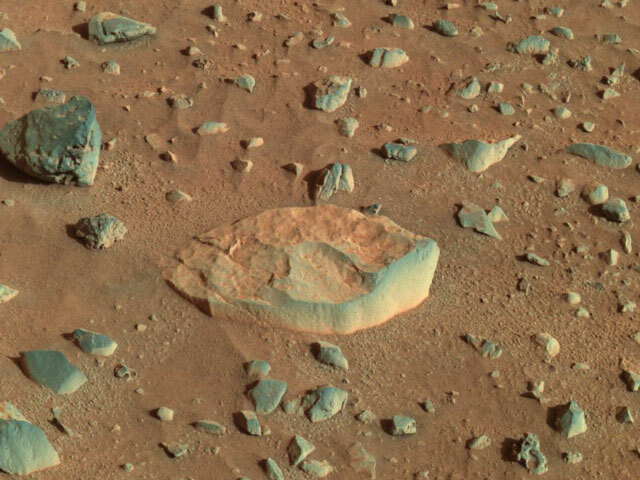 Earlier this month the robot Spirit rover on Mars stopped to examine a rock dubbed "white boat", named for its unusually light color and shape. White boat, the large rock near the image center of the above color-composite image, was examined by Spirit just after Adirondack, a football-sized rock determined to be composed of volcanic basalt. Spirit resumed scientific operations two weeks ago after recovering from a computer memory problem. Spirit and its twin rover Opportunity, on the other side of Mars, continue to roam the red planet in search of clues to the ancient past of Earth's most hospitable neighbor.